SINCE commencing his training career in 1990, David Hayes has trained in excess of 3000 winners, including an incredible 87 Group 1 winners. 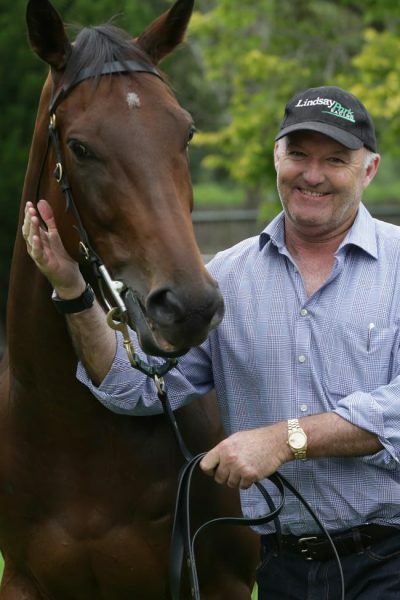 In establishing himself as a leading horse trainer in Australia, David Hayes has won the Melbourne Trainers’ Premiership seven times and the Adelaide Premiership on nine occasions. In August 2008, the trainer followed in the footsteps of his father, as he became the youngest member to be inducted into the Australian Racing Hall of Fame. David spent nine seasons training horses in Hong Kong between 1996 and 2005, winning two Trainers’ Premierships and 17 Group 1 races, including some of Hong Kong’s most internationally recognised contests in the Hong Kong Derby, Hong Kong International Sprint, The Classic Mile and The Stewards’ Cup. David took over at the infamous Lindsay Park after the retirement of his father, and made an immediate impact, with Better Loosen Up winning the Cox Plate and Japan Cup, while he trained a world record six Group 1 winners in one day on Derby Day at Flemington. In 1993 Fraar earned David his first Caulfield Cup success, and in 1994 Jeune won the Melbourne Cup when defeating Paris Lane by two lengths. Upon his return from Hong Kong, David Hayes continued where he left off and collected a first Golden Slipper success in 2006 through Miss Finland, who went on to win the 1,000 Guineas and VRC Oaks that same year. In what was a stellar year for the trainer, Fields Of Omagh delivered a second Cox Plate victory in 2006 and Tawqeet a second Caulfield Cup. As a trainer that has won major races from the Golden Slipper to the Melbourne Cup, David continues to produce Group 1 winners, and 2017 has seen the Lindsay Park supremo collect a sixth Blue Diamond success through Catchy. David’s nephew, Tom Dabernig, joined the team in 1993 and became responsible for overseeing the transformation of Euroa into the pre-training and breaking-in arm of Lindsay Park. In 2009 Tom became assistant trainer to David at the Flemington stables and now uses his vast experience in a co-trainer role with David and Ben. Ben Hayes, David’s son, ensures the smooth running of the interstate operation and the stables at Morphetville in Adelaide and Randwick in Sydney. Ben has gained significant experience working for UK trainers Charlie Hills and John Gosden. With such a long history of success, horse shares from the Hayes family are fiercely sought after.